Learn more about our food system and give your input towards the Food Strategy! On Wednesday January 11th, 9 a.m. to 11 a.m. at Health Sciences North, this consultation will allow for discussion about the challenges with sourcing, using and selling healthy, fresh, and regionally produced foods. Input collected from this consultation will be used to shape the City of Sudbury Food Strategy, which will shape policies and directives for both public and private sectors to improve the growth, access, and consumption of these foods. A full day of sessions, networking and discussion to help us Discover Sudbury’s Flavour at Sudbury’s Culinary Tourism Forum on January 24, 2017 at Collège Boréal. For more information and to register, visit: www.sudburytourism.ca/culinary. 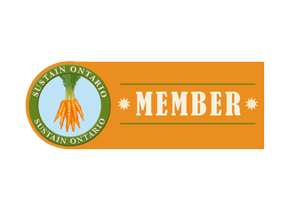 This free event takes place February 8 between 12 and 1 p.m. Get to know local businesses and food organizations that represent Sudbury’s food system. As part of the development of Greater Sudbury’s Food Strategy, speakers will share their inspiring and innovative new projects – projects that are making advancements in our community. Plus, enjoy free, delicious, local finger food!